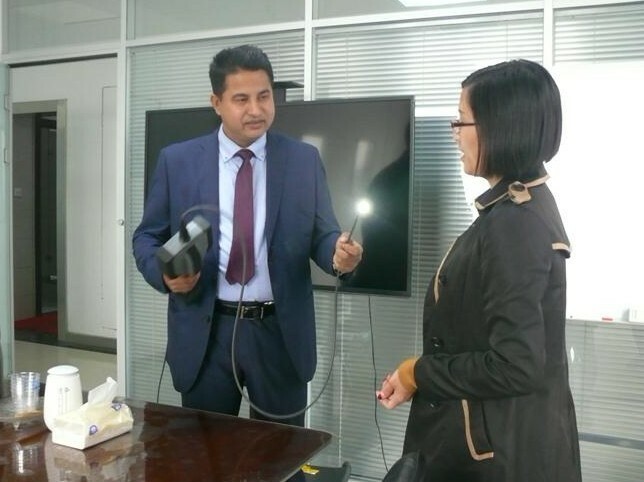 April 2018,Indian customers visited Zhengzhou Runde Dellonscope Co.,Ltd to conduct field visits.The company's leaders gave a detailed introduction to Zhengzhou Runde Dellonscope Co.,Ltd current situation and development,conducted cooperation discussions,visited the technical department,research and development department,production workshop,quality inspection,and after-sales service departments,and exchanged views with field staff.The customers expressed great appreciation.And recognize company's production of Industrial Videoscope products.Dellon Industrial Videoscope products showed great interest in the company,and the company's production strength gave a great affirmation of the company's technology and service recognition,and technical engineers conducted a series of technical exchanges. 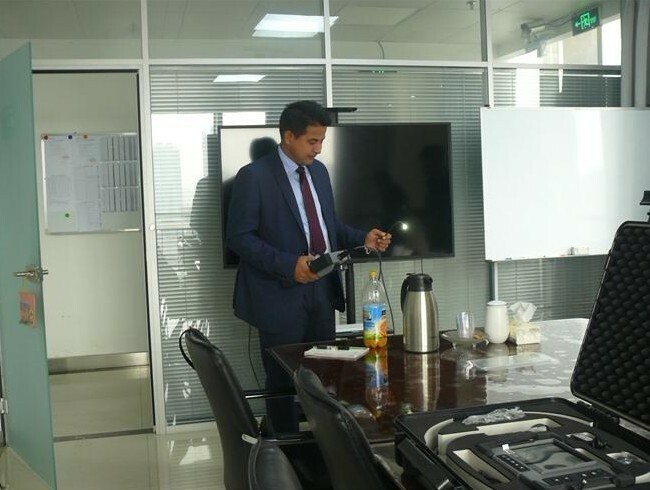 The visits and inspections enabled the customers to have a more detailed understanding of the company's industrial endoscopes,non-destructive testing equipment,pipeline endoscopes and other products and production processes,further deepening the customer's understanding of Zhengzhou Runde Dellonscope Co.,Ltd and its products. trust. Zhengzhou Runde Dellonscope Co.,Ltd.Industrial videoscope,adheres to the leading strategy of parallel technology and services,and is positioned as the leading supplier of industrial non-destructive testing products and industrial non-destructive testing service experts.The company unwaveringly walks on the road to innovation through many years.In practice and exploration,and always adhere to high standards and high quality product requirements.We will not change our Industrial videoscope persistence due to market fluctuations.We will continue to improve the quality of our Industrial videoscope products through continuous improvement.We have gradually established a research and development system centered on technology centers.The R&D team of first-class technical talents serves various lines of R&D,sales,and after-sales,providing customers with the best solutions. We are seeking global co-operation agents for Industrial videoscope products,OEM/ODM/OBM orders are welcomed.All in all,we hope we can set up a long.set up a long time cooperation.